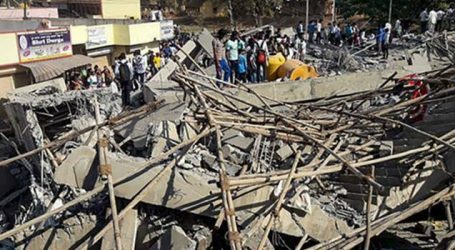 Under-construction building that came down got collapsed on Tuesday night in Karnataka’s Dharwad, death toll has further increased to 13 and 12 people are still missing. More than 400 staff comprising NDRF, SDRF, Police and Revenue Dept are involved in the rescue operation. The four-storey building collapsed on Tuesday and rescue operations have been going on since then. Dharwad sub-division Assistant Commissioner Pankaj Kumar said 13 people died as a result of the mishap, adding that rescue operation is still underway at the site. Karnataka Chief Minister HD Kumaraswamy visited the site on Thursday and said that over 10 people are suspected to be trapped under the debris. “It`s suspected that more than 10 workers are still trapped under the debris. The district administration has already announced magistrate inquiry, and the government is ready to appoint a retired high court judge if required,” he added. “56 people have been rescued, 12 are missing and 13 dead. More than 400 staff comprising NDRF, SDRF, Police, and Revenue Department are involved in the rescue operation,” he told leading news agency. 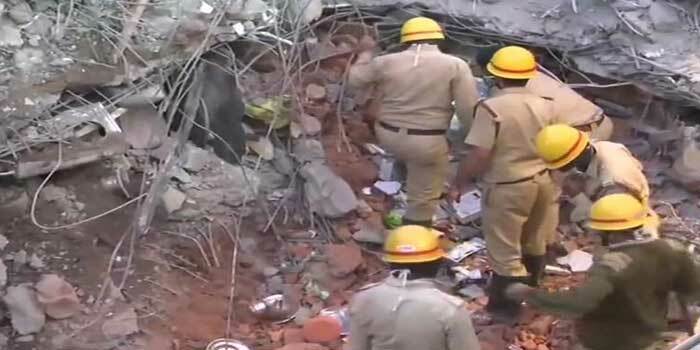 The building, located in Kumareshwar Nagar, collapsed on Tuesday, following which the Indian Air Force (IAF) airlifted two teams of National Disaster Response Force (NDRF) personnel to Karnataka`s Hubli to assist in rescue operations. The building belonged to one of the relatives of former Congress minister Vinay Kulkarni. Police are yet to arrest anyone in connection with this incident. On Wednesday, the police had said that 10 ambulances and five fire tenders were taking care of relief and rescue operations with three teams of the NDRF.